We can program remotes, fobs, transponder keys and proximity access for most makes and models - Replace lost or damaged fobs and maintain your car's security and function. Learn all there is to know about fobs, proximity acccess, transponder and mechanical keys, remotes and any other automotive access product. Be informed and save money! OEM-Quality Programming And Parts For Less! We all know how expensive a trip to the dealer can be, especially when it comes to programming keys or remotes for your vehicle. Why pay twice as much for a product or service that can be provided at the same level of quality and service? 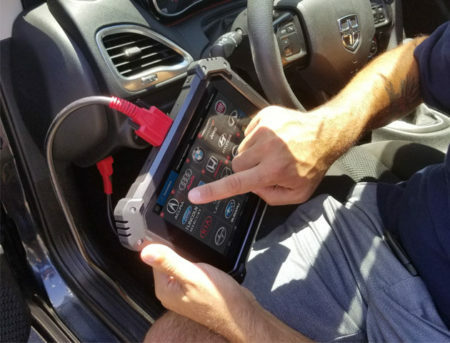 In partnership with Newhall-Valencia Lock and Key, Santa Clarita Auto Key utilizes the latest technology to ensure that your auto key or remote will work with your vehicle without issue. Others may claim to offer similar services, but they cannot come close to our expertise and quality of OEM inventory and parts. Our promise to you: If you buy a key or remote from us and we cannot program it to your vehicle, you owe us absolutely NOTHING for the programming session! Even if you bring your own fob or remote, we will attempt to program it for FREE! You only pay when your remote works to your total satisfaction. Whether it takes 10 minutes or ten hours, you do not pay unless it works perfectly. We are proud to stand behind what we do.